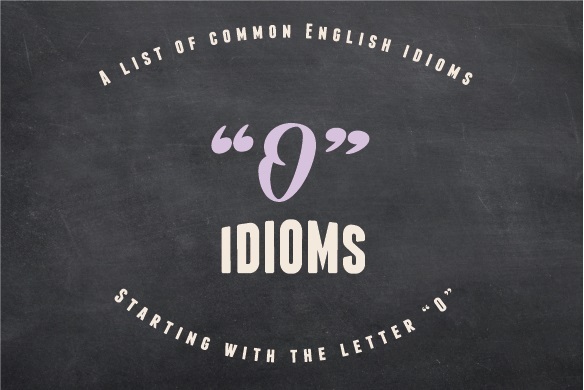 This O idioms list will get you “OFF and running” to mastering the most common expressions. 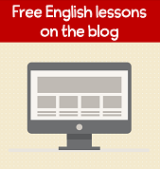 Did it “OCCUR to you” that you only have to understand idioms to reach a high level of English? It’s true! We do use idioms all the time in English but you can use other words to say the same thing. So take a deep breath.... you only need to understand them. Of course, if you are able to use them it will just make your English that much better! Before we get started you hopefully remember what an idiom is, right? An idiom is a group of words that has a meaning that is different from the individual words that make up the expression. For example, lets's look at the idiom "off and running." If you looked up the words "off" and "running," you would be puzzled and might think "off what?" and "running where?" But the idiomatic expression "off and running" actually means having a good start and making good progress. Don't worry, the definitions and example sentences will help you understand these expressions. You can also practice writing your own sentences and get my feedback below in the comments. rise to the occasion: to do what is needed at a particular time. She’s a good tennis player but she never rises to the occasion at the grand slam tournaments. I was very impressed with how you rose to the occasion today and chaired the meeting during the director’s absence. occur to someone: to come to someone’s mind, to think of something. It didn’t occur to me that when you said you’d be home “late” last night that you actually wouldn’t come home until 7 AM! Did it ever occur to you that I might want to choose the TV show sometimes? against the odds: despite a lot of difficulty or challenges. Against the odds, I beat the number one ranked player today. I really admire how Lindsey Vonn came back against the odds to win another skiing championship. odds and ends: a variety of things (often left-over things). I made this quilt out of some odds and ends from the linen closet. I’ve got to finish a bunch of odds and ends before I leave the office tonight. at odds with something: not in agreement. Suddenly my best friends are at odds with each other so now I have to see them separately. I’ve been at odds with the board of directors regarding salaries for months. Of course you can stay with us whenever you come to town. Of course my girlfriend would call as soon as the game started. I’ve been going to bed really early of late and I feel so much better. Of late, I haven’t traveled very much so I’ve been able to go to my son’s baseball games. off and on (on and off): working or existing sometimes but not at other times. The electricity has been off and on for the past five hours since the storm hit. My boyfriend and I were dating off and on for five years but this time it’s over and we’re never getting back together. Doctor, the pain in my stomach has been on and off for two months now but it’s becoming more frequent so I’m worried. off and running: started doing something and it’s going well. Our fundraising campaign is off and running and we’ll definitely surpass last year’s donations. no offense: this is not meant to insult or offend anyone. No offense but I only date guys who share my religion. No offense, however we’re looking for a candidate with better speaking skills. the same old same old: something that has stayed the same as before. It’s the same old same old boring office as when you left a year ago. My life is the same old same old: study, practice, eat and sleep. on a diet: eating particular types and/or amounts of food (especially to lose weight or for medical reasons). I’m on a low sodium diet since my doctor said my blood pressure is very high. Sorry I can’t eat any of your birthday cake — I’m on a diet again. on and on (and on): continuously without stopping. These management meetings just go on and on and on and I can never get any work done. This rain has gone on and on for days — I wonder when it will stop. on a shoestring: with very little money or a very small budget. I got a second job because the stress of living on a shoestring was killing me. My dad thinks all artists live on a shoestring so he was surprised when my first painting sold for $4,500. on the wait/waiting list: on a list of people waiting for something. We were on the waiting list for a two-bedroom apartment in our building for a year and a half and finally decided to move. I got on the waitlist at the University of Maryland but there’s a good chance I will get accepted in June. All at once the sofa caught on fire and we were barely able to leave the apartment in time. Everything happened so fast and all at once so I can’t really remember much about it. Sheila, please come into my office at once! Once again we see each other at the grocery store. This is really unusual. If you’re absent once again you’ll need to bring a doctor’s note. once and for all: finally and completely. After doing crash diets during my entire 20s, I lost the weight once and for all when I started to eat sensibly. I’m happy to say that your grandfather and I got together today and settled our differences once and for all. give someone / something the once over: to make a decision or judgment after very quickly looking at someone / something. When you’re finished with that letter I’ll give it the once over before you mail it. You should always give your emails the once over before sending them. My dad always gives my outfits the once over before I go to school. one after the other: one thing is followed by the next person or thing. We need to solve this problem quickly because the complaints are coming in one after another. She dates new guys one after the other because she only likes the excitement of falling in love. We've had one problem after the other with this new car. This is my one and only photo of your great-grandmother so be careful with it. The one and only race I won happened on the day my dad wasn’t there to see it. one and the same: the same thing. FaceTime and Skype are practically one and the same except you don’t need an Apple device to use Skype. These two brands are one and the same but this one is a lot less expensive. one by one: one thing or person immediately after another. Everyone please line up at the entrance one by one and then I’ll give you the tickets. The models came out one by one wearing incredibly skimpy underwear. one up (on something / someone): to have an advantage over someone / something. This information is going to give me a one up over my competitors. Being a lot taller gave me a one up on most of the other guys trying out for the basketball team. the one and only: the only person or type of thing. My grandmother was the one and only woman in her college who graduated and became a doctor. This is the one and only photograph of my mother as a brunette. It’s over already? We only just got to the party. I only just moved here so if you have recommendations of where to shop I’d appreciate it. only too: very, very much. The auto mechanic was only too happy to recommend repairs I didn’t need. I’d be only too pleased to join you for Thanksgiving dinner. open to something: willing to consider something. I’m open to suggestions about how we divide up the work for this project. If you’re open to seeing houses in other neighborhoods there are more properties in your price range. open up: to speak honestly and freely about something personal. My sister opened up and told me she’s very unhappy in her marriage. Everyone cried when the speaker opened up and told us how he lost his daughter to cancer. (out) in the open: to become known to everyone, to be visible for all to see. I put some brochures out in the open so people can take them if they’re interested. Now that your biggest fears are out in the open, we can try to find a solution to the problem. wide open: not decided or determined yet. We haven’t even selected a venue yet so the planning is wide open. There are five contestants left in the final round so the competition is still wide open. keep one’s options open: to wait further before making a choice. I made a reservation at the Hilton Hotel but we’re keeping our options open and looking for a better rate somewhere else. I wish I’d kept my options open and didn’t take the first job offer I got. in short order: very fast. We’ll have your meal ready in short order. I managed to get through security in short order and then relaxed in the executive lounge for two hours. out of order: not working, broken. This coffee machine is out of order so don’t put any coins in it. I cannot believe the copy machine is out of order again. out from under (something): not being controlled by someone else any longer. The people are finally out from under the dictator’s rule but now the country is in chaos. I’ve got to get out from under this credit card debt because I can hardly sleep at night. out loud: to voice something so others can hear it. When I told my mother I needed a $300 per week she laughed out loud and told me to get a job. If you want to improve your English speaking skills, read to yourself out loud for 10 minutes a day. out of it: 1) confused/disoriented, not understanding or aware of what’s happening; 2) not a part of something. He always looks out of it because he smokes a lot of marijuana. I was so out of it this morning I missed my stop and rode the bus all the way to the end of the route. You stay out of it — no one wants to hear your opinion. on the outs: not friendly, no longer communicating. The director and my boss are on the outs so it’s really uncomfortable for me. Are you on the outs with your mom again or can I ask her to babysit this weekend? at the outside: no more than. We’ll need a week more to finish painting at the outside. Don’t worry I’ll be there in an hour at the outside. over (and done) with: completed, finished. I can’t wait until high school is over and done with and I can move away to college. I got my paper over with so I could enjoy the spring break holiday. over and over: many times. Shut up! You keep telling the same stories over and over and no one cares. I’ve replayed our conversation over and over in my mind and I still don’t know what I said to offend her. overdo it: to do something too much. Don’t overdo it with the champagne or you’ll have a terrible headache in the morning. I overdid it at the gym yesterday and I now my muscles are so sore I can barely move. into overdrive: in a situation where things are working extra hard. As we get close to the conference everyone has moved into overdrive. I don’t even remember the last week of finals — I went into overdrive and wrote two papers and took four exams. To be honest, we were over the moon when our daughter's awful boyfriend cheated on her and then broke up with her. I’m over the moon that I got into Stanford University's Law School! owe it to someone to do something: you have an obligation to do something for someone. You owe it to yourself to take better care of your health. My son owes it to me to tell the truth about what he spent his college tuition on. on one’s own: 1) not having support from others; 2) alone. When I turned 21 my parents told me I was on my own but I’m glad because now I’m self-sufficient. You can stay out late every night if you want when you’re on your own. I don’t like driving on my own at night so now I’m in a carpool. own up (to something / someone): admit you did something wrong. If you had just owned up to taking the car it wouldn’t have been a huge problem but you lied and blamed your sister. Ugh — I’ve got to own up to my boss that I didn’t check all the facts in the report. Have you signed-up for my free newsletter? I include an audio magazine article every month that's full of many vocabulary and idioms. 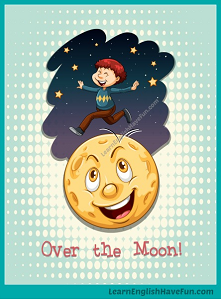 This list has expressions beginning with the letter "O" but I've also created pages of expressions with other letters of the alphabet: click here to go to the main idioms page. Ready to practice? The best way to check that you truly understand an idiom is to be able to use them in your own sentences. I will revise any mistakes in your practice sentences. Simply choose a few O idioms from the list and create your own sentences in the comments box below.